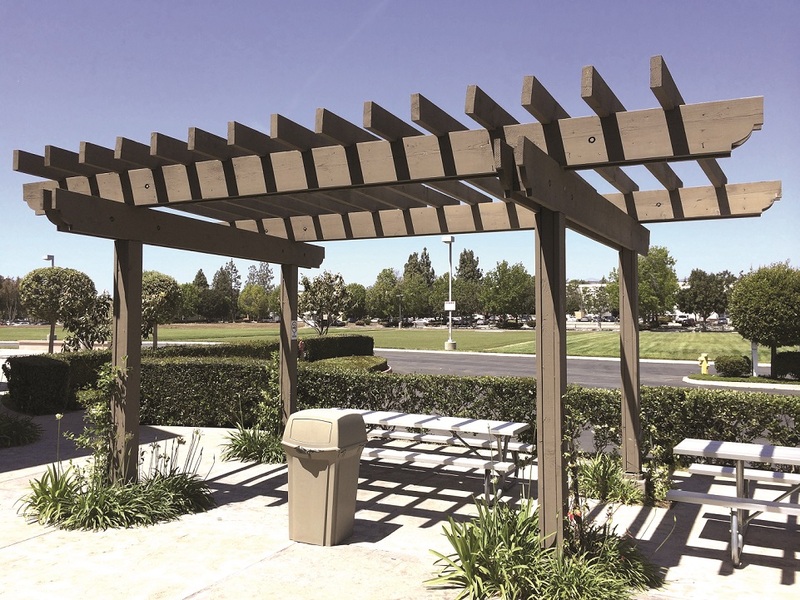 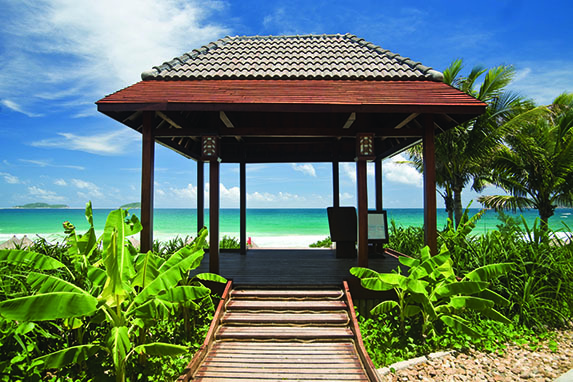 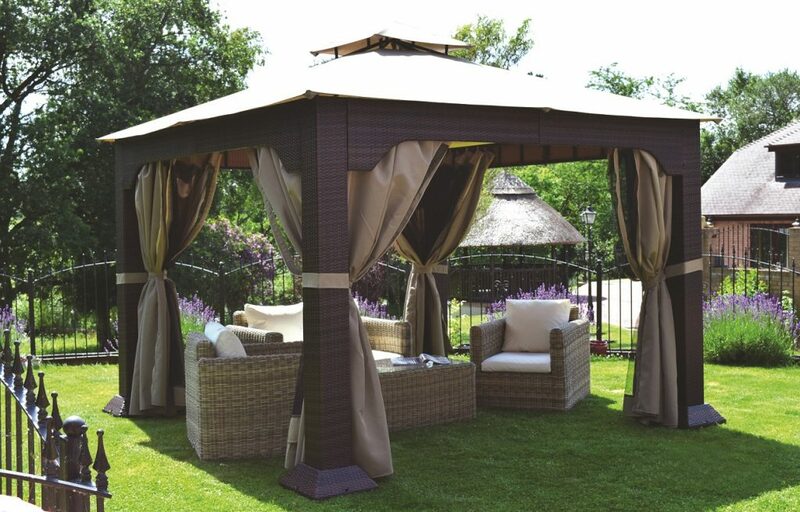 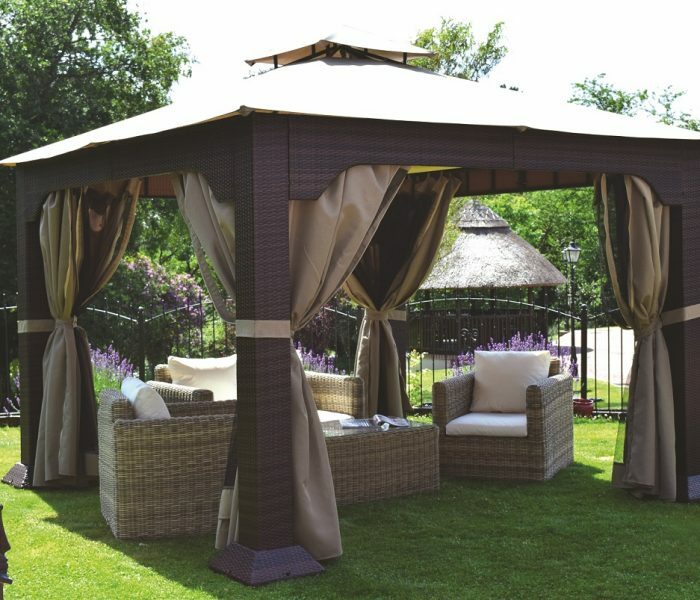 A gazebo is a pavilion structure built in a park, garden or a spacious landscape public area. 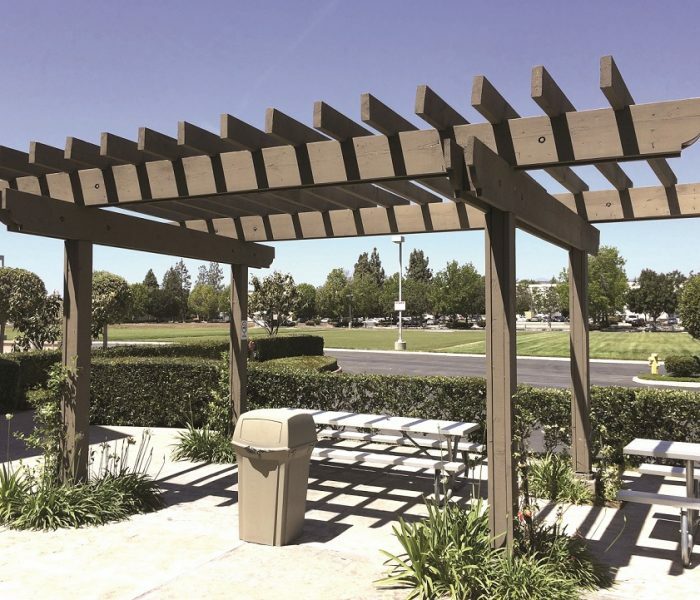 It provides shade shelter and a place to rest. 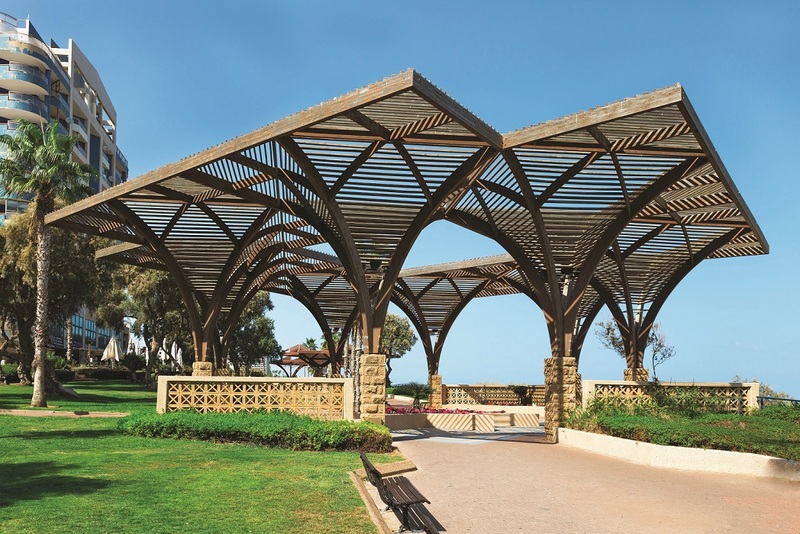 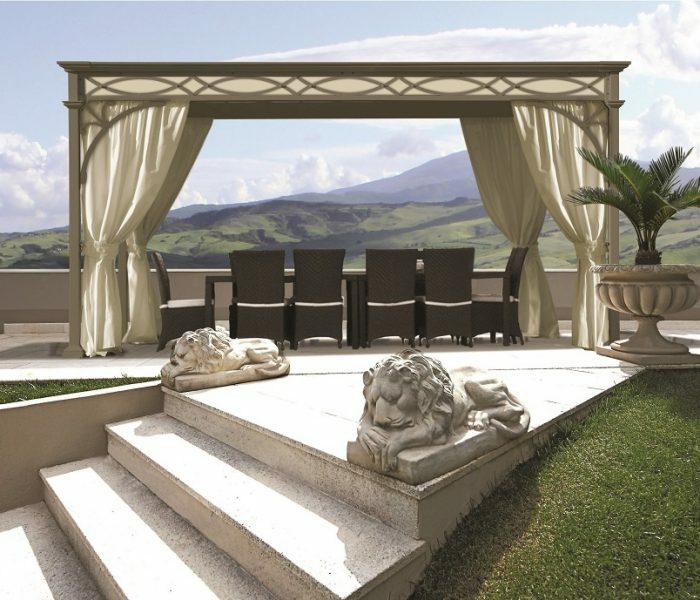 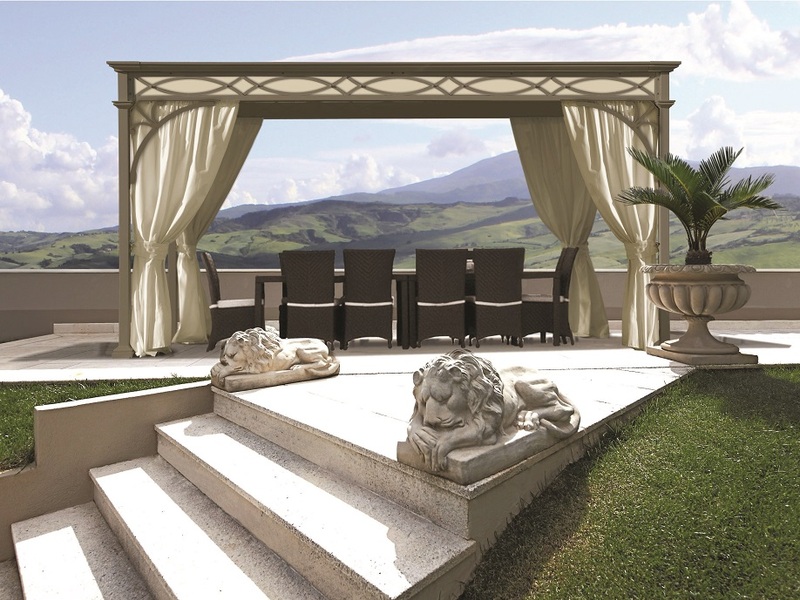 Pergola is an arched structure in a garden or park consisting of a framework covered with climbing or trailing plants.